Nigeria goalkeeper Vincent Enyeama could face sanctions after questioning the suitability of the venue for his country’s last Africa Cup of Nations qualifier. Enyeama, who plays for French side Lille, suggested Kaduna city, in northern Nigeria, should not have been chosen to host Saturday’s match against Chad on security grounds. The Super Eagles won the match 2-0. Enyeama skippered the side in his 101st appearance for his country — making him Nigeria’s most capped international. The comments reportedly did not go down well with the new Kaduna state governor, Nasir El-Rufai, who said he would not attend the match until football federation chiefs stepped in. Boko Haram Islamists, who believe football is a Western ploy to distract Muslims from their religion, have attacked cities in northern Nigeria, including in Kaduna. But the violence is largely concentrated in the northeast. 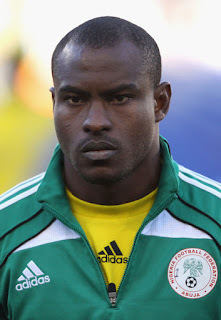 Enyeama, 32, later apologised but Nigeria Football Federation officials said they were looking at punishing the player after manager Stephen Keshi criticised the remarks. “What Vincent did was unacceptable and he cannot go unpunished for this,” added Nigeria’s former midfielder Garba Lawal, who is now general manager at Kaduna United FC.